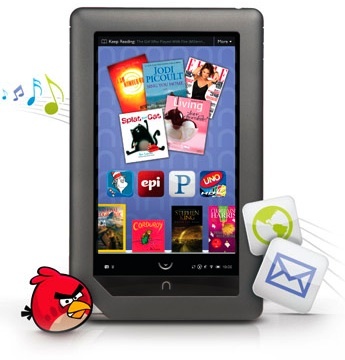 All tablets are e-readers, but all e-readers are not tablets. B&N recently released a software update for its Nook Color, which takes the full color, touch-screen e-reader and gives it some tablet-like features. At $249.95 it is less than half the price of an iPad 2 or Xoom, and it offers some significant benefits for normal, non-geeky readers. If you think you will enjoy reading on a 7-inch, back-lit computer screen that you can comfortably hold in your hand (as opposed to an e-ink screen that needs ambient light to illuminate it) I can recommend the Nook Color without hesitation. 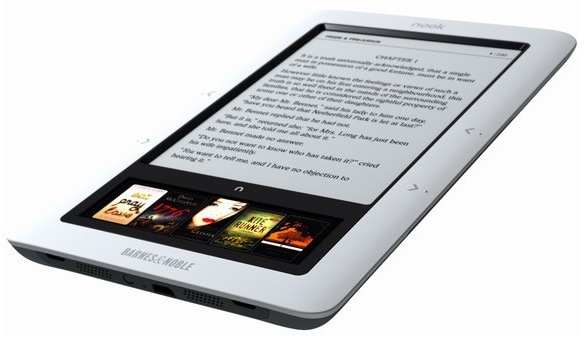 It is nicely priced and offers a bunch of features that make it an e-reader on steroids. 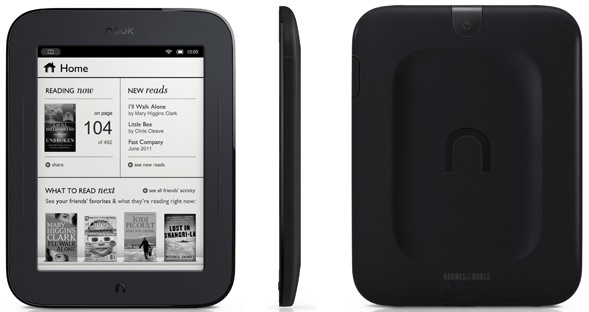 Is the Nook Color a tablet? Store files on removable media for use with other devices. Is it an iPad? No. But not only because of the hardware limitations — it’s not an iPad because it not part of the Apple App Store, iTunes interface and ecosystem. If you want an iPad 2, nothing else will do. Will the Nook Color do all the things an iPad can do? No. But it can do a lot of stuff (see the list above) and for most people who like to read, it will be a wonderful experience and a good device to own. Should you think of the Nook Color as a “Poor Man’s iPad?” No. 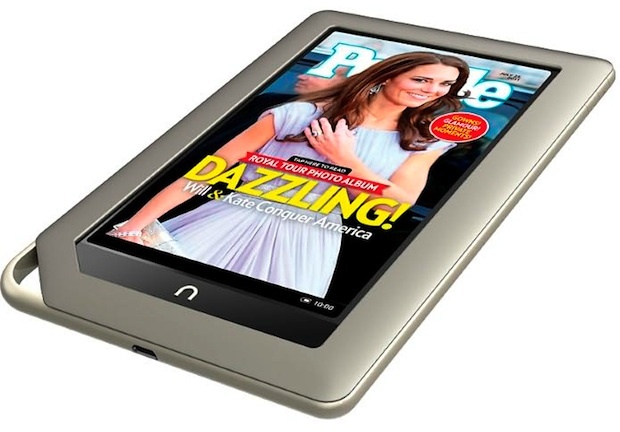 The Nook Color is not trying to be an iPad, it is positioned as a powerfully featured e-reader and that’s exactly what it is. Does the Nook Color do anything an iPad can’t do? Yep. It plays Adobe Flash files so you can watch Flash video and see Flash animations. According to Steve Jobs, iPads, iPods and iPhones will never, ever play Flash files. I was taught never to say never, but Mr. Jobs has spoken. BTW: 98% of computers in the world can see content that is made with Flash. It is a ubiquitous format and that fact that Apple iProducts do not play it is truly unfortunate (and kind of a pain). The Nook Color is also physically smaller than an iPad. This makes it very easy to type with your thumbs. If you want to touch type with all 10 fingers, you can do that too. But, if you’re a super-fast thumb typist, this is a very nice form factor. What about Apps and Android and all that tech stuff? If you are going to ask a technical question about the Nook Color, don’t buy it. It is not technically on par with current technology tablets because it does not have to be. Why would I buy the Nook Color? Its weaknesses (limited app store, restricted user experience, etc.) are its strength. 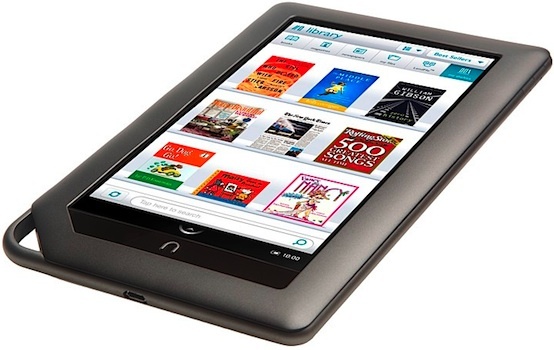 Barnes & Noble has gone out of its way to create a Nook ecosystem. It is nowhere near as big or sophisticated as Apple’s, but it doesn’t have to be. B&N is controlling its App Store and making the online shopping experience simple and convenient. The few apps that are available are valuable. The device comes preloaded with features that allow you to instantly benefit from the purchase: e-reader, email, web, video, music and games. Do you need more? If you do, you know who you are. If you don’t, this is a perfectly excellent e-reader with some very serviceable tablet-like features. Why shouldn’t I buy the Nook Color? If you are looking for a tablet that is fast, has two cameras for video chat, has a bigger screen, has access to hundreds of thousands of apps, and has a huge developer community and user base, then the Nook Color is not for you. How is the Nook Color different from other Android 2.2 FroYo devices? This is a critical point. Google lets manufacturers use the Android operating system for free. There are some strict (and some not so strict) guidelines regarding how the software can be deployed and advertised. While, in theory, all Android devices are compatible, in practice, they are not. Software cannot add features to hardware that the hardware does not support. For example: Android 2.2 supports camera apps, but there’s no camera on the Nook Color, so the fact that the software supports the function is meaningless in this case. 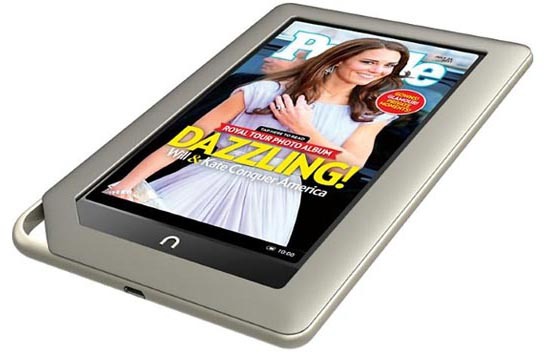 I am a Linux Hacker and I heard that the Nook Color is running Linux? Yep. Hack away — rooting a Nook Color should be fun! Bottom line: For $249, it’s awesome!